If the Commonwealth were to expand its remit, led by India, areas such as security and counter-terrorism could be strengthened. India’s approach to the regional groupings of which it is a member is self-evidently instrumentalist. With limited resources each of the organisations or groups which India promotes serve a particular economic, political or cultural purpose. Thus, IBSA (comprising India, Brazil and South Africa) comprises a group of like-minded, Southern democracies, useful to align approaches in fora such as the UN. The BRICS (Brazil, Russia, India, China and South Africa) offered a means of showcasing not political alignment but economic potential. Regional forums – the Indian Ocean Rim Association, the South Asian Association for Regional Cooperation (SAARC) and the Bay of Bengal Initiative for Multi-Sectoral Technical and Economic Cooperation – each offer different means for India to develop or demonstrate its regional role. The Commonwealth lacks such an obvious purpose. 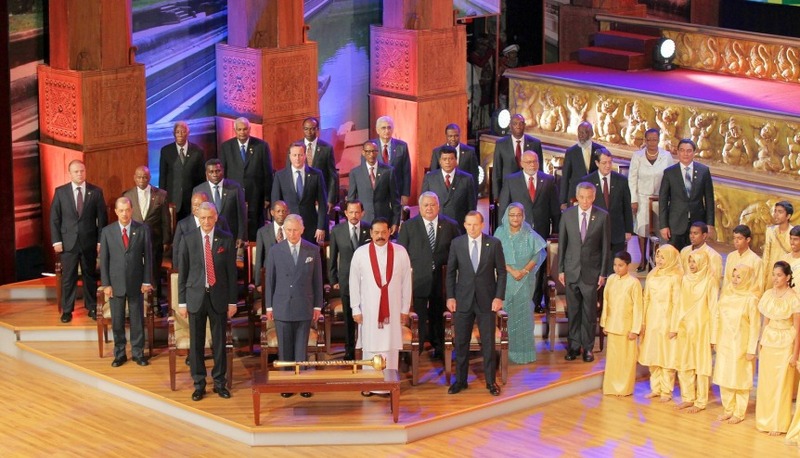 India’s Prime Minister has not attended the previous three Commonwealth Heads of Government Meeting (CHOGM), at times out of political considerations and at others as an indication of where the Commonwealth stands in India’s priorities. Yet without India, the heft of the Commonwealth becomes much reduced. More than half of the Commonwealth’s population is Indian. At present, India’s GDP comprises one-sixth of the Commonwealth’s total, and India will be integral to the group’s future growth. Yet of late, India has expressed a desire to play a greater role in the Commonwealth, and the Prime Minister, Narendra Modi, plans to attend the forthcoming meeting. But given the Commonwealth’s lack of direction, or indeed of purpose, what could this role entail? While the International Organisation de la Francophonie has a pretty clear ambition of maintaining French influence in its former colonies, the Commonwealth has hardly served that purpose for the UK, so in some respects is more open to evolution. And yet the UK-centric view that the Commonwealth could become some vigorous trading bloc seems scarcely backed by evidence. Distance from the UK, under-development or a primary focus on regional trade militate against a focus on intra-Commonwealth trade for a number of its member states. There may be a case for Australia, which has talked up the potential for trade agreements with the UK, to diversify its export markets: at present, two-thirds of its exports currently go to North East Asia. But unless new industries emerge, the UK is not an obvious market for its main exports – coal and iron ore. Putting to one side the Brexit-induced fixation on the Commonwealth for some in the UK, and given India’s own attitude towards trade openness, aside from some niche business-to-business successes the idea of the Commonwealth per se as a trading bloc seems highly far-fetched. So what could India achieve with the Commonwealth. The Commonwealth Human Rights Initiative (CHRI) may give some clues. With a head office in Delhi, and with offices in Accra and London, it is the only part of the Commonwealth not run out of Marlborough House. While the Commonwealth has focussed on human rights abuses in its member states, and played a role in leading critiques of apartheid in South Africa, it is difficult to argue that the group’s members are shifting towards a “Western” approach towards human rights: homosexuality is a crime in most members of the Commonwealth, and only the most serious culprits have felt the need to leave the organisation to avoid its criticism. Ironically, it is many of the unrepealed laws dating from colonial times that are responsible for abuses. The CHRI adopts a more “Southern” approach towards human rights, focussing on technical solutions (such as improving access to information) rather than adopting a big stick approach. This approach may well be more effective in terms of the delivery of human rights, while not necessarily achieving a paradigm shift towards the creation of more tolerant and inclusive societies. An analogy with the International Cricket Council (ICC) may bear repeating. From its 1909 formation the ICC was run out of Lords, which still tweets as HomeofCricket. Yet since 2005, cricket has been run out of Dubai, not Lords. And cricket has evolved in tandem. The wealth of the game – in South Asia, most notably India – has led the focus of cricket to follow the money. Thus traditionalists, preferring up to five days of often gentile Test match cricket, are marginalised by the money generated by shorter, more aggressive, versions of the game, preferred in South Asia. This is not at all to argue that India should not play a greater role in the Commonwealth (or indeed in cricket). It is to say that those proponents of “Empire 2.0” should probably be careful what they wish for. An Indian approach towards issues such as training, healthcare or local government will, by definition, promote Indian approaches to such subjects. The idea that a reinvigorated Commonwealth, with India playing a leading role, would somehow enable the UK to return to the 1950s, is far-fetched. If the Commonwealth were to expand its remit, led by India, areas such as security and counter-terrorism could be strengthened. And, areas of long-standing focus such as climate change, governance and democracy all offer potential. Yet, would this be substantive, or more a demonstration of the shifting power-balance between the former colonial power, which suddenly needs the Commonwealth more than it used to, and India? Further, given that the issue of terrorism (and definitions thereof) between India and Pakistan have undermined SAARC, what modalities would ensure that the Commonwealth became an effective medium to disseminate best practise on security related issues amongst its member states? Given that the Commonwealth’s charter stresses the need for consensus, the potential for an Indian role to be undermined would seem to be high. In sum, three pathways emerge. First, the Commonwealth stumbles on, aimlessly. Already, with the exception of its role in the struggle against apartheid, some question what, if anything, it has achieved. Second, that it ends. Brexit makes this less likely in the short-term, but questions over issues such as the successor to Queen Elizabeth II as Head of the Commonwealth remain problematic. Third, that it reinvigorates itself, finding new purpose. Were that to happen, India would be well-placed to lead. However, India’s own track record in multilateral groupings gives few grounds for optimism. 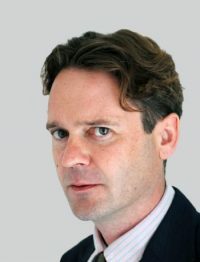 Dr Gareth Price is Senior Research Fellow, Asia Programme, Chatham House.